Smartwool's corporate headquarters on Airport Circle sits under an overcast sky Monday afternoon. VF Corporation, the company that owns Smartwool, announced Monday that the brand's headquarters will be moved to Denver within two years. STEAMBOAT SPRINGS — Smartwool employees are still processing news of the company’s planned move from Steamboat Springs to Denver. “It’s a very sad day to have to move out of this amazing community that we have here in Steamboat,” Smartwool President Jen McLaren said. Over the weekend, Smartwool’s parent company, VF Corporation, told company leadership that the brand’s headquarters would be relocating to the Denver metro area within the next two years. Employees and city and county officials learned of the move Monday morning. “This was really a VF decision, first and foremost, and it is a strategic decision that was made by the senior leadership team,” McLaren said. VF Corporation owns the outdoor brands The North Face, Altra, Eagle Creek and JanSport. These companies will relocate with Smartwool to a yet-to-be-identified location in the Denver area. This decision is intended to increase collaboration and connectivity between brands, McLaren said. About 70 employees work at Smartwool’s Steamboat headquarters. They will all be offered jobs in Denver with relocation support, McLaren said. She added that the company will support them if they choose not to relocate, too. The company is working through the details of the move, and it is not clear what kind of benefits would be offered to employees who choose not to relocate. Director of Global Communications Molly Cuffe said both VF and Smartwool are “people-centric” organizations, and Smartwool will be offering trips for employees to explore Denver. McLaren said Smartwool looks to move within a 12-month period. “Steamboat is our home and where the brand was founded,” McLaren said. “We’re incredibly ingrained in this community,” McLaren said. She said the company hopes to keep ties to Steamboat. She said Steamboat offered the “best of both worlds” by providing employees with a professional career and a home life in a mountain town that’s closely connected to the outdoors. The move comes as VF leadership announced its intention to split into two publicly traded companies. VF will maintain control of Smartwool, Vans, Reef, Timberland and the company’s other outdoor, active wear and work wear brands. A new, unnamed company will operate VF’s denim brands, Lee and Wrangler jeans. This change left VF with no brand ties to the company’s headquarters in North Carolina. “They did a search of where they should be within the outdoor industry, and to no surprise, they came up with Colorado,” McLaren said. The Denver Post reports that the Colorado Economic Development Commission will give VF $27 million in job growth incentive tax credits, of which $13 million could be sold to other companies. VF CEO and president Steve Rendle said in a statement that the company “will match every dollar it receives in tax incentives” in a donation through its own foundation to charities in Colorado. “It’s great news for the state of Colorado and sad news for the city of Steamboat Springs,” said City Manager Gary Suiter. He said the company has had a great relationship with the city. 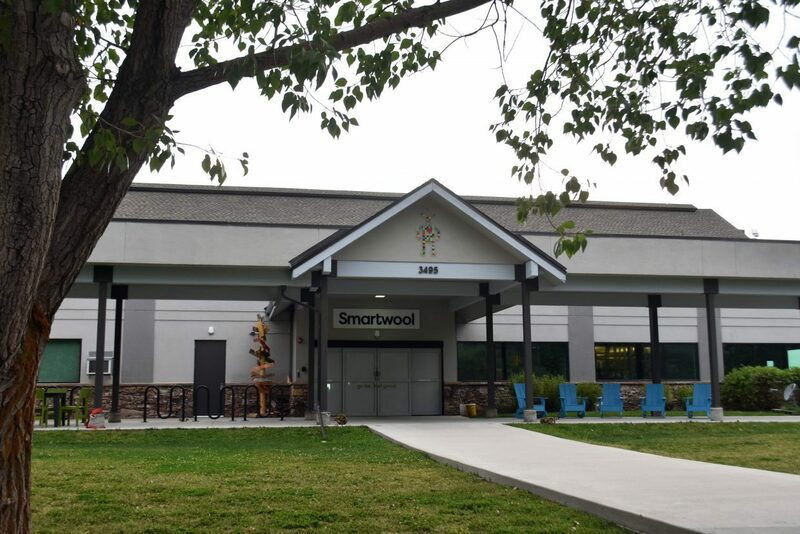 Economist and city council member Scott Ford estimated that Smartwool’s approximately 70 employees spend about $2.8 million locally, which equates to a decrease of less than a half percent in city sales tax revenue. He estimates that the company’s employees’ spending supports about 10 or 11 full-time equivalent jobs in the community, creating a total loss of 80 to 85 jobs. He added that the greater Steamboat metro area has over 6,500 full-time year-round jobs. Smartwool currently leases office space in what was formerly a Steamboat Springs Airport terminal. The company’s lease with the city continues until 2022. City attorney Dan Foote said the company’s lease included allowing for early termination. Smartwool’s rent of $26,883 per month included rent and payments to the city for improvements made to the building, he said. Within the provision allowing for early termination, Smartwool will be required to pay off the remaining balance. Both Suiter and McLaren said Smartwool is committed to fulfilling these financial obligations. Suiter said Smartwool told him they would assist in whatever way they could to help the city locate a new tenant. Both city leaders and Smartwool said Steamboat is a great location for businesses in the outdoor recreation industry. Suiter said Steamboat is a leader in outdoor recreation.